The studio, one, two, and three bedroom living spaces at Emerald Pointe Apartment Homes are crafted to exceed your expectations. 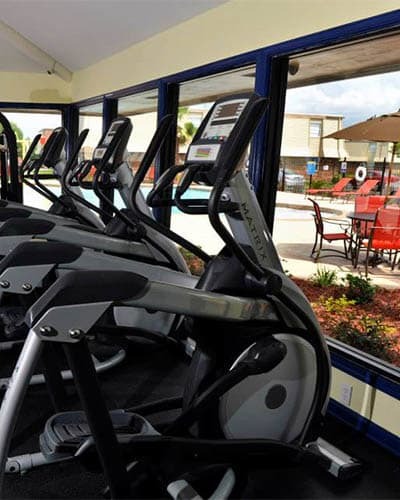 Our new apartments for rent in Harvey, LA include the amenities you require as well as the amenities your heart desires. Picture yourself cooking a holiday meal for loved ones in your gorgeous gourmet kitchen featuring energy-efficient appliances, sparkling faux granite countertops, and handsome custom cabinetry. Plus, cleanup is a breeze with a timesaving dishwasher and a convenient full-size washer and dryer in every home. Homes Wi-Fi ready with preinstalled equipment and first month free, provided by Cox. When you’re not enjoying the in-home comforts, take advantage of our community features. Hit the cardio machines and free weights at our modern 24-hour fitness center, or spend a lazy afternoon at the shimmering outdoor swimming pool. Your kids will love the fountains and features in the water play area, so it’s sure to be a fun time for the whole family. If you’d like more information on the amenities at our Harvey, LA apartments for rent, contact the friendly team at Emerald Pointe Apartment Homes today.